Glioblastoma is the most malignant type of brain tumor for which there are currently no effective treatments. Patient prognosis is improved by radiation combined with temozolomide (TMZ) therapy but only for a short period of time due to the high prevalence of recurrence. Although O6-methylguanine-DNA methyltransferase (MGMT)-mediated DNA repair is a well-defined characteristic of TMZ resistance, the mechanism by which MGMT-deficient glioblastoma counteracts TMZ-induced DNA damage, leading to apoptosis, still remains unclear. Previously, we determined that aberrantly activated cytochrome P450 17A1 causes TMZ resistance in MGMT-deficient glioblastoma by increasing the secretion of dehydroepiandrosterone (DHEA), a neurosteroid that maintains the health of neurons and astrocytes. 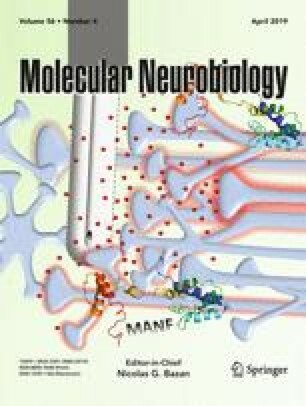 However, the precise mechanism by which DHEA alters the response of glioblastoma to TMZ has not been studied. In the present study, we found that DHEA prevents TMZ-induced apoptosis by attenuating DNA damage in MGMT-deficient glioblastoma. In addition, DHEA activated the LYN-AKT cascade to induce Sp1 phosphorylation. Phospho-Sp1 localized in TMZ-damaged DNA, prevented further DNA damage, and was deacetylated through the recruitment of HDAC1/2. Deacetylated Sp1 recruited proliferating cell nuclear antigen (PCNA) to attenuate DNA damage. To confirm whether the DHEA-induced cellular process contributes to TMZ resistance, we established a TMZ-resistant glioblastoma cell line, A172R, and isolated primary resistant tumor cells, PtR#1, from a glioblastoma patient exhibiting chemotherapeutic resistance. Sp1 exhibited phosphorylated and deacetylated status, and associated with HDAC1/2 and PCNA in TMZ-resistant cells. Based on these findings, we conclude that DHEA induces TMZ resistance in glioblastoma via the induction of phospho-Sp1-mediated DNA repair. The online version of this article ( https://doi.org/10.1007/s12035-018-1221-7) contains supplementary material, which is available to authorized users. We thank for the support by the Ministry of Science and Technology of Taiwan (MOST 106-2320-B-038-003-MY2, 106-2320-B-038-001-, and 105-2320-B-038-062-) and by Taipei Medical university (TMU105-AE1-B20). Wen-Bin Yang: execution of experiments and data organization. Jian-Ying Chuang: concept integration and collection of clinical materials. Chiun-Yung Ko: execution of experiments. Tsung-I Hsu: concept development and integration, execution of experiments, data interpretation and organization, and manuscript preparation. The use of human specimens was approved by the Institute Review Board (IRB)/Ethics Committee from the office of human research in Taipei Medical University (Taipei, Taiwan). The consent of each patient was obtained and approved by Taipei Medical University IRB protocols, Nos. 201006011 and 201402018.